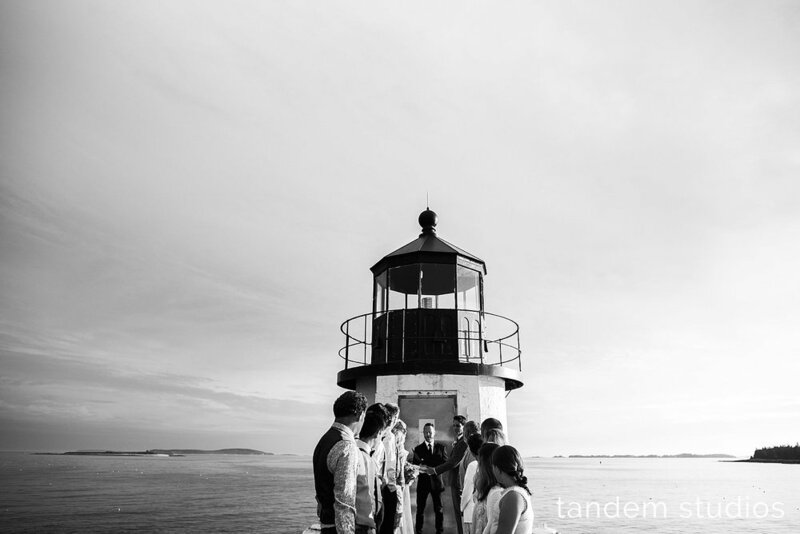 When Chelsea and Daniel got in touch with us about their July wedding at Marshall Point Lighthouse in Port Clyde, we were beyond excited to capture their intimate wedding ceremony. But we truly couldn't have imagined their wedding being as incredibly beautiful as it truly was on that early July evening. Chelsea and Daniel live in Ohio, but wanted to choose a destination for their wedding where they could return to each year on their anniversary to celebrate with one another. So, they chose the remote and peaceful, Marshall Point Lighthouse knowing that they could stay in an inn in the nearby coastal town of Rockland. 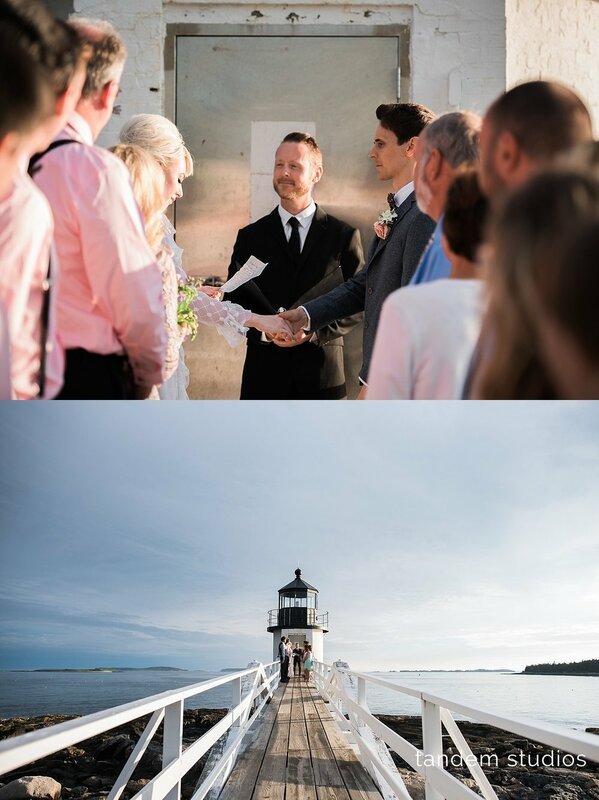 With their family present and a friend to marry them, Chelsea and Daniel said 'I Do' in a short, but sweet ceremony at the end of the catwalk out to the lighthouse. 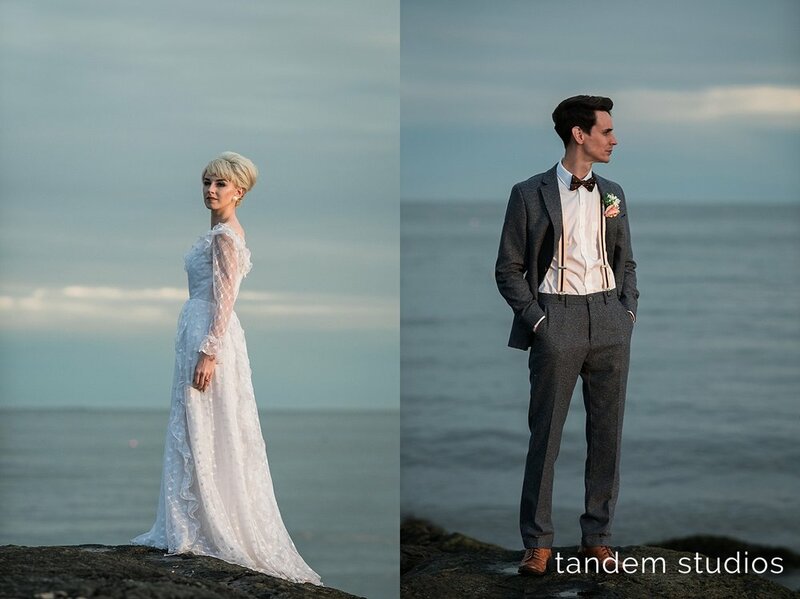 After some photos along the rocky coastline, we headed back to Rockland to the Berry Manor Inn for a few photos before they ended the evening's festivities at a local restaurant. 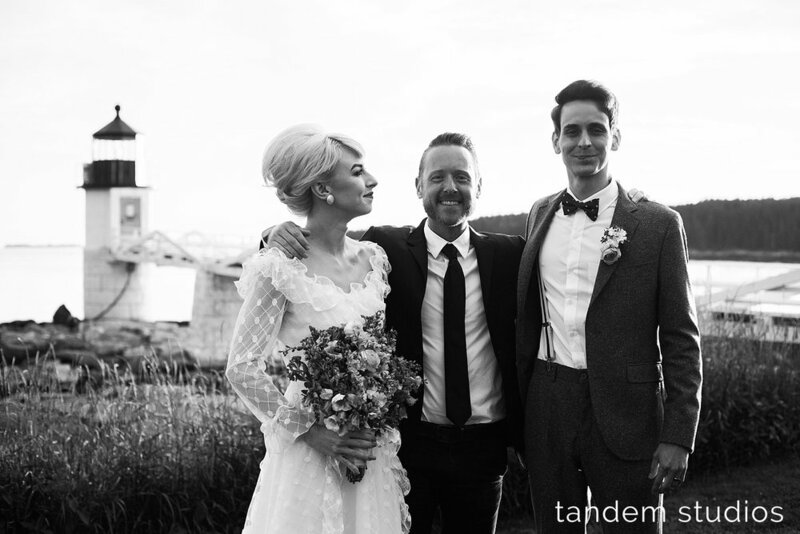 We cannot say enough wonderful things about why we love intimate weddings like Chelsea an Daniel's, but we'll start with the fact that photographing these two newlyweds reminds us again and again why we love doing what we do so much.